Delivery from £6.65 to United Kingdom in 9 - 19 working days. Eggcups that are cast in stoneware. They are stackable and are sold in a box with 4 eggcups. One green, one yellow, one black and one with black stripes. 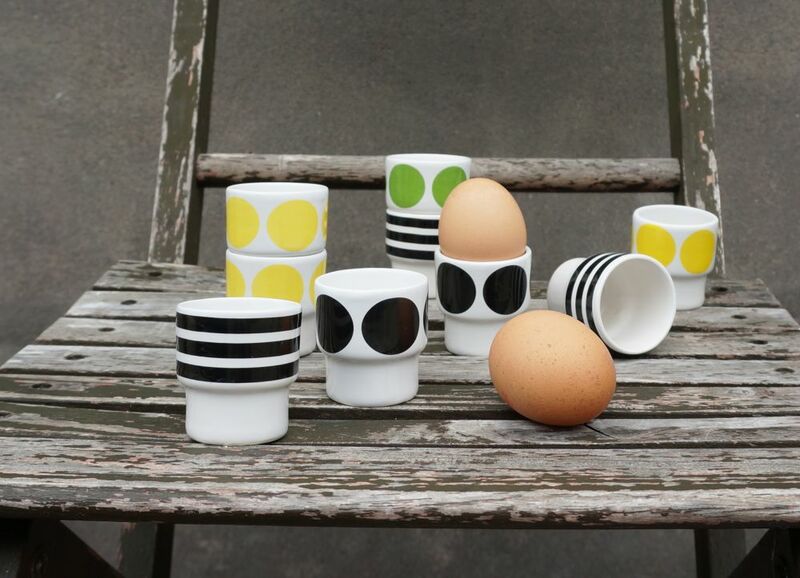 Enjoy your egg from a stackable and colourful eggcup.